Cedar Key is not your average Florida destination - Cedar Key is "old Florida" or "original Florida" or better yet, "before Disney" Florida. Quaint streets lined with shops, friendly people, real food, funky art, and peaceful relaxation. Cedar Key is a clamming, fishing, and artist village with a tourist trade. The tourist trade is mostly seasonal and most visitors are looking for a low key sort of vacation. The pace is slower than the rest of the world and if you require the world to operate on a precise clock - you probably won't like Cedar Key. It's not uncommon to see a sign in the window of a shop that says "Gone Fishin'" during business hours and they really mean it. If you need a chain store, a mall, or traffic light fix to make the day ok for you - don't come to Cedar Key! Besides the kayaking, fishing, bird-watching, and relaxing, Cedar Key also has two festivals each year - the Cedar Key Fine Arts Festival (aka Annual Old Florida Celebration of the Arts) which is held in April and the Annual Cedar Key Seafood Festival which is held in mid-October. These festivals are extremely busy and it's hard to find lodging in Cedar Key. Memorial Day, Labor Day, Thanksgiving, Christmas, and New Years are also "full-house" times. If you're planning to visit during these times - be sure to locate lodging early! Information about the town of Cedar Key. The daily launch fee is $10 payable at the automated kiosk. If you plan on coming frequently, stop by City Hall on 2nd Street and pick up your annual launch pass for $130 (cash or check). A personal homepage full of links related to Cedar Key. Excellent and interesting collection. The Cedar Key Historical Society was established in 1977 by a group of citizens dedicated to preserving the long and rich history of Cedar Key. Cedar Key's Online News - the most up to the minute info about Cedar Key. Print version produced every two weeks! See our article: Roseate Spoonbills online at Cedar Key News! See our article: The Misunderstood Vulture online at Cedar Key News! This is Cedar Key's print newspaper - published each Thursday, both in print and online. Longest Runway (23):	2355 x 100 ft. / 718 x 30 m.
Video: "In Cedar Key - Larry Whitler"
Enter "Cedar Key" in the search box for a fascinating collection of old photos of Cedar Key. By entering "cedar key aerial", you can see what the town looked like prior to all the shops built downtown! Here's a collection of online articles published about Cedar Key. There's nothing like some different perspectives to help you get a feel for a place! Triple AAA had a nice write up on Cedar Key when they visited the local B&B for a short visit. Taking it slow in Cedar Key, Fla. 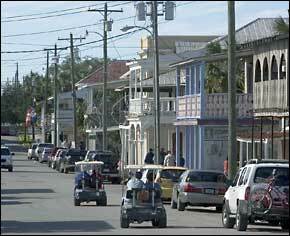 The Washington Post published an article about Cedar Key, Florida on 10/25/2009. The author clearly loves our Island City and tells our story well. Hope she considers staying with us on a future visit! has written an article recommending Cedar Key as a vacation destination for seniors interested in walking around town and keeping fit while vacationing. We granted permission to SFA to use some of our photos of Cedar Key to illustrate their article. We love the article - it celebrates much of what is best about Cedar Key - a wonderful island to enjoy for people of all ages. Published by About.com - contains several pages of historical narrative and photos around town. "...If you've ever wondered what Key West was like when Hemingway wrote The Snows of Kilimanjaro there, come to Cedar Key. "...When the number of bird and animal species nearly rivals the human population, you know you've entered a unique coastal environment. All day long visitors stroll along Cedar Key's sugary white beaches and marshy shores, as ospreys build their nests and feed their young. Egrets, blue herons, white ibis and a myriad of other wanderers quietly harvest the water's glassy surface. With its tranquil old Florida feel, life in Cedar Key reflects the Gulf of Mexico's own tidal cycles. Days here aren't measured by clocks or the speed of a computer...."
"... The mills are history. But the village of 700 still possesses a commercial fishing fleet. Local restaurants serve fresh clams, crabs and oysters. That and a tiny arts community have turned Cedar Key into an unassuming, low-dough resort that is usually and blessedly overlooked by marauding tourists on their way to see the Mouse and other Florida irritations. ..."
My own review of Cedar Key Florida! A short history of the town of Cedar Key is included. Are you ready to make reservations to stay in Tranquility? Do you have some information that you think we should add? Tell us!